Bring your broken or unwanted gold jewelry in for a complimentary appraisal and we can turn it into cash for you. We will pay you cash for the following items: 14k gold, platinum, sterling silver, diamonds larger than 1/2 carat and sterling silver holloware. (Please note that we do not buy silver-plated items.) If the value of your item(s) is under $100, we will give you cash. If greater than $100, we will give you a check. Either way you will be paid immediately. 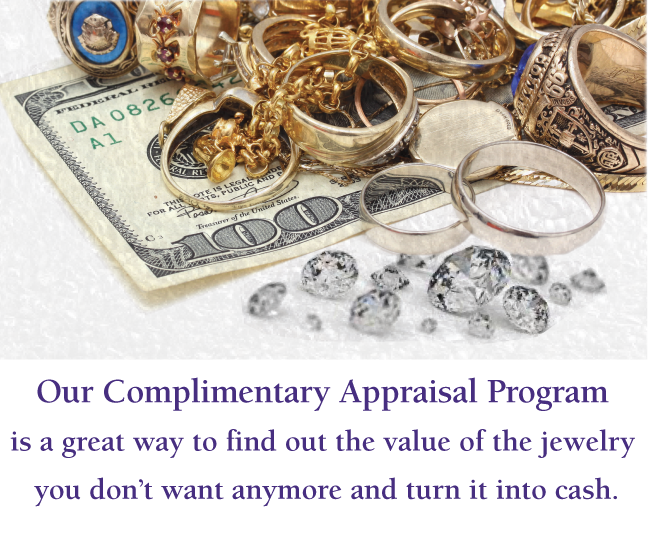 Our Complimentary Appraisal Program is a great way for you to find out the value of the jewelry you don’t want anymore. Bring us your 14k gold, platinum, sterling silver, diamonds (1/2 carat or greater), and sterling silver flatware and holloware. We will separate and determine the precious metal content and value based on the spot price of the metal that day. We weigh and inspect each item. You are provided with an offer based on the current market. A check, or cash if under $100, will immediately be paid to you. The condition of your precious metal does not matter. Dented, unmatched, missing stones or totally mangled gold, or platinum, sterling silver flatware and holloware are welcome. You will be amazed and pleasantly surprised at the ease and speed of the entire process. Diamonds must weigh 1/2 carat or more. If you’re not sure, just bring it in and we’ll be happy to check it for you. We guarantee that we will give you and honest and fair price. 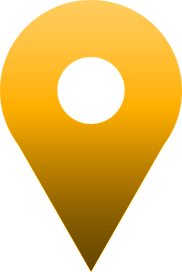 We invite you to stop by and give us a chance to surprise you! You might even have enough cash to treat yourself to a new piece of jewelry.